Five of the most controversial actions taken by the Illuminati. Most Super Heroes have to keep a secret identity intact, but a select handful of Marvel's most powerful individuals have chosen to add another layer of secrecy on top of their already complicated lives. 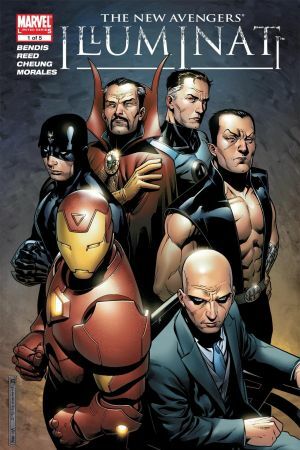 The members of the Illuminati—originally Iron Man, Mr. Fantastic, Doctor Strange, Namor, Black Bolt, and Professor X—all chose to keep their involvement in the covert group of movers and shakers a secret from their super allies. But what could these good guys possibly want to hide? They still have Earth's safety in mind, but—as you'll see—that safety comes with a heavy moral price. Here are five of the most controversial actions taken by the Illuminati. 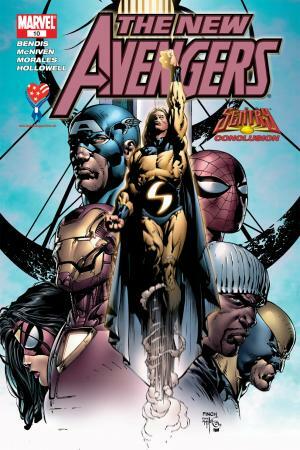 Readers learned of the Illuminati's existence in the second arc of NEW AVENGERS, when Iron Man confronted the rest of the secret society with the existence of a mysterious man called the Sentry. 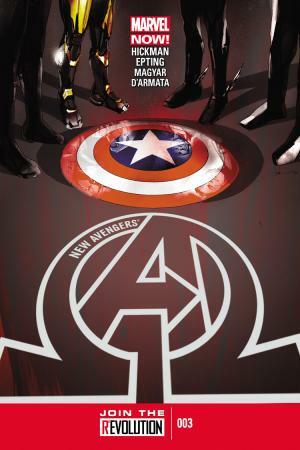 Most of the gathered Illuminati members gave Tony Stark their blessing for forming the new Avengers team, and they trusted the billionaire to keep a close eye on the Sentry as well. Tony flinched, though, when asked about the super spy agency's increasing shadiness. Iron Man lied about what he knew, as he had encountered rogue S.H.I.E.L.D. agents in the Savage Land just a few days earlier. After the jade giant destroyed Las Vegas, Iron Man had to come up with a hard solution to the planet's Hulk problem. That fix: blasting Bruce Banner into space towards an uninhabited planet. 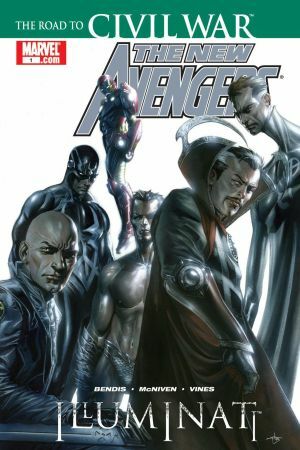 Stark brought the solution to his Illuminati teammates, receiving votes of approval from all of them except for Namor. This one decision set the stage for Planet Hulk and—much to the Earth's dismay—World War Hulk. Mr. 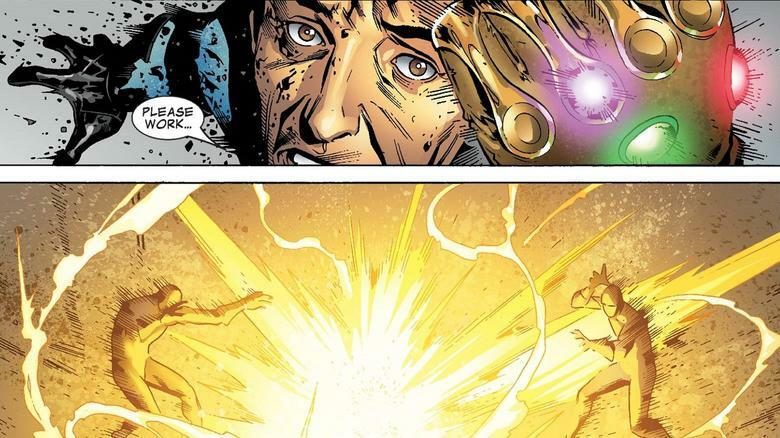 Fantastic thought he had figured out the perfect way to destroy the incredibly dangerous Infinity Gems once and for all. 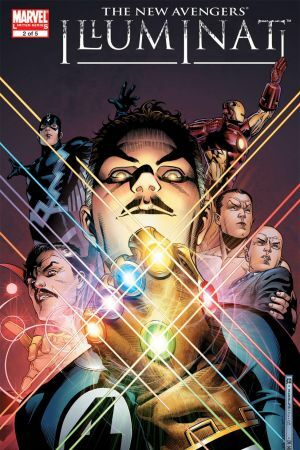 With the help of the Illuminati, Reed Richards gathered all six Gems together and tried to use their combined power to erase the objects from existence. The plan backfired and forced Richards to reconsider his options. He gave the members of the Illuminati one Gem each to protect, but that decision just made them easier for The Hood to later steal. Faced with the threat of incursions—contractions within the Multiverse that causes parallel Earths to collide—literally hanging over their heads, the Illuminati reformed to save the planet once again. This time, though, they would have to destroy the alternate Earth in order to save their world. Captain America would not condone this course of action, even as the rest of the team began constructing a planet-destroying weapon. Illuminati member Doctor Strange then used a spell to erase Cap's memories of his time with the covert group. Revisit when Stephen and other heroes saved the world from behind the scenes!